A day after Minnesotans For Global Warming pulled their "Hide the Decline" video from YouTube at the request of ClimateGate scientist Michael Mann, all versions of this global warming satire were apparently removed from the powerful website. As NewsBusters reported Tuesday, M4GW received a threat from Mann's representatives stating that if the video was not taken down, he would sue. After M4GW complied with Mann's request, the No Cap and Trade Coalition posted a new version of "Hide the Decline" on YouTube. Unfortunately on Wednesday, this new version AND all related videos were removed from YouTube supposedly due to a copyright claim by JibJab Media, Inc. It is true the original version did contain JibJab content, the claymation video with Michael Mann's head on it was made on JibJab's website. 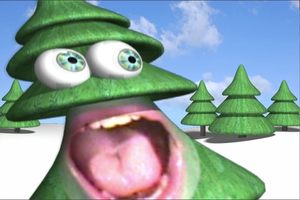 I also put a disclaimer at the beginning of the website that JibJab was not responsible for this content. The new version "Hide The Decline II" did not, however, contain any JibJab content or the image of Michale Mann that was in dispute in the letter from Mann's attorney. So I'm wondering why it got yanked. I'm sure it was a little like playing Whack-A-Mole for youTube, everybody and their sister was uploading the original version to their youTube channel. Maybe in their zeal youTube inadvertently wiped out the new version. With Blip TV allowing the new version to be posted, it will be interesting to see whether its management receives a complaint from JibJab.